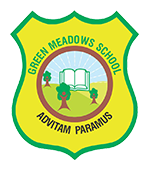 Green Meadows Primary School was set up in 2004 initially as a nursery and kindergarten. Following the demand from parents to extend the school to primary level, the school registered with Goa Board of Education for the Primary School in 2006. In 2013 the school became affiliated to the Central Board of Secondary Education (CBSE) and operates upto standard X. The CBSE was the school's preferred choice as it places a major emphasis on the continuous growth of the student, which includes their intellectual, emotional, physical, cultural and social development which we consider essential to enable students to rise up to challenges with confidence. At Green Meadows School we place strong emphasis on preparing children for integration into society by instilling moral values, discipline and tolerance of each other. We believe this can be achieved with the support of teachers, assistants, parents and the community to ensure the successful development of each individual child in our care. At Green Meadows School, we present a unique learning opportunity for your child. We believe in teaching children to take responsibility for themselves and their actions so that by the time a student leaves our school they are able to demonstrate this in their capacity as responsible citizens. The social skills are as important as the academic learning and at Green Meadows we believe in having a holistic approach to enable students to become respected role models in society. We are fortunate at Green Meadows to have children from varied backgrounds and this plays a vital role in teaching students to respect other faiths and cultures. At Green Meadows we operate a distinctive system of incentives for students in the form of Campus Credits. Students gain credits from staff for many reasons including; display of responsibility, academic, personal or social achievements, exceptional respect to staff or fellow students, exemplary discipline and good class work ethic/effort. At the end of each month these credits can be exchanged for various forms of 'treats' provided by the school. The school encourages parent participation and seeks to work with parents in partnership for the complete development of each child. Each year the parents elect a parent class representative to represent the parents' interests at regular monthly meetings with the principal. Parents also volunteer in different areas from offering their time to help at school events like the School Fete, Annual day, Sports Day etc, to helping individual students to read and taking library lessons. We bring in parents from different professions to talk to the students and to motivate them in choosing their field of interest. Parents are encouraged to communicate with the school regarding any concerns and to keep abreast of their child's academic and social development via the school diary. In matters of serious misconduct parents are always involved in the resolution of the problems to enable the student to understand that the school and parents work together with the student to try and achieve a positive outcome.